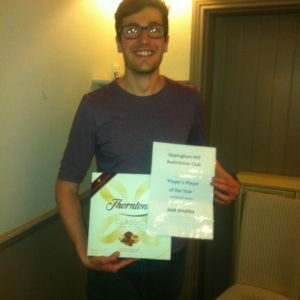 As usual our members voted to who they felt deserved to receive this coveted award. Over 25 votes were cast with several nominations being named…. clearly we have some very popular people at the club ! This year, a first I think, two players received the same number of votes who have jointly been awarded the accolade. This award is nominated by the committee who they believe has shown the biggest improvement through out the year in their individual form. 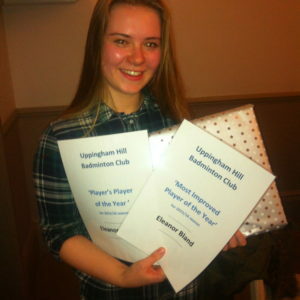 This year Eleanor has shown significant improvements in her game and adapted well to playing with other players at the club and more recently playing in the mixed team. Congratulations to Eleanor for this award and for winning the ‘Double’ ! !